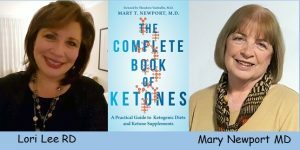 What Are Ketones and Where Do They Come From? Ketone salts are the first product on the market to the public to contain the actual ketone betahydroxybutyrate combined with sodium, potassium, calcium and magnesium and can be combined with liquid to make an energy drink. 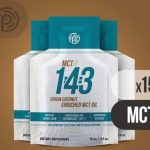 They were developed at University of South Florida and the Pruvit company is the leader in formulating new products and educating the masses on ketones and what they do at their Ketokademy events. There is a growing epidemic of obesity, type II diabetes, cardiovascular disease, and predictions that 15,000,000 people in the United States alone will have Alzheimer’s Disease by the year 2050. Spanish Version of article: ÂQUã TAL QUE YA EXISTIERA LA CURA PARA LA ENFERMEDAD DE ALZHEIMERY NADIE LO SUPIERA? By choosing a healthy well-balanced diet before you become pregnant, while you are pregnant, and while breastfeeding, you will greatly improve the chances of growing a healthy baby with a healthy brain.